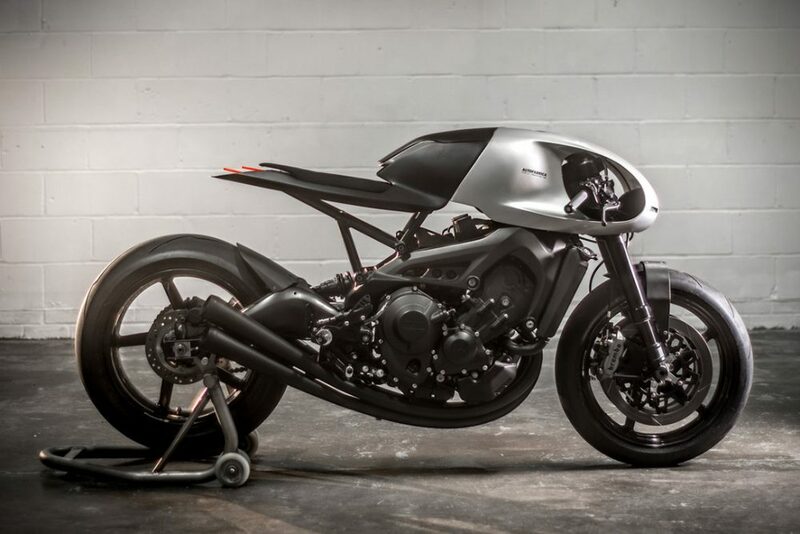 Yamaha and Auto Fabrica have teamed up to developed the Type 11 Prototype motorcycles. They are the most unbelievable bikes on the market. However, we can’t help but wonder if they were drunk when designing them. Yamaha has a very extensive history when it comes to custom-built bikes. Their new production models are certainly special. Yamaha recently teamed up with Southend-on-Sea builders Auto Fabrica, who are famous for their bespoke bikes. 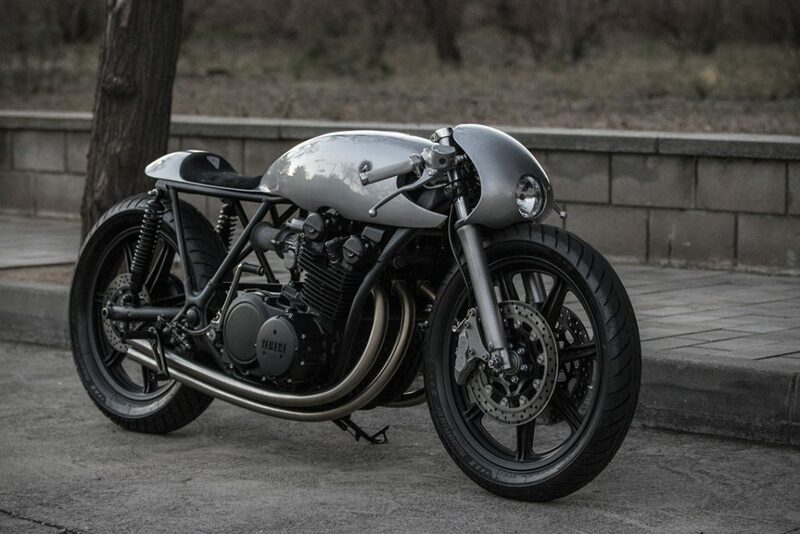 Auto Fabrica provided the inspirational ideas by selecting certain features of older bikes and building on their Yamaha’s XSR900 and XS750 bikes. The end result is something that will certainly turn heads, but not necessarily for the right reasons. The team were looking to create progressive artistic motorcycling pieces that pay homage to biking history. 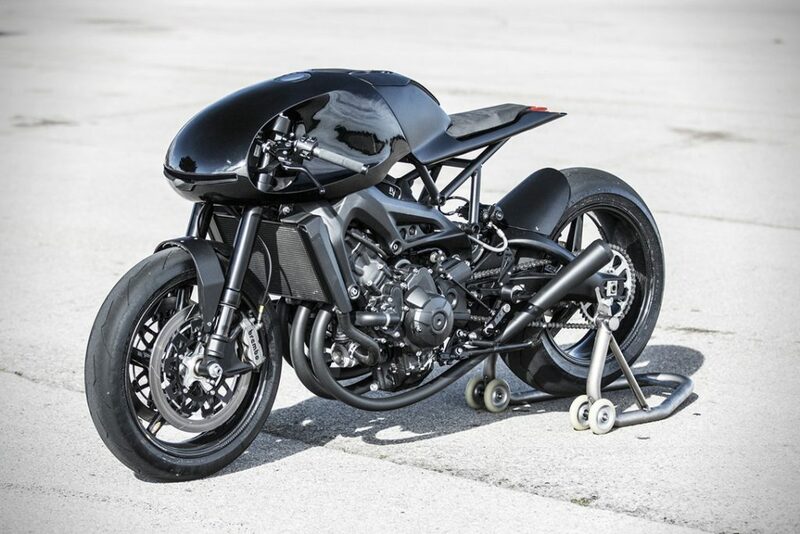 Auto Fabrica stated that they were looking to create what they ‘believe[d] motorcycles should look like“. It’s certainly easy to see how vintage bikes played a major role in the aesthetes of their creations. They produced three distinct motorcycles. Firstly, the Prototype 11 One is a high-speed track design. The bike, unfortunately, isn’t road legal and so you won’t be seeing it in public any time soon. Prototype 11 Three which is based on an original 1977 XS750 and looks distinctively different from One. It’s also easier on the eyes. Prototype 11 Two, however, is a hybrid between the pair of bikes. It is designed to be road legal unlike Prototype one and is kicking up a lot of fuss on social media. By incorporating the traditional and the modern, you can’t help but feel that the bikes have jumped straight out of a Hollywood sci-fi horror film. Every detail of the bikes was designed and considered before they even so much as turned on the lights to the workshop. 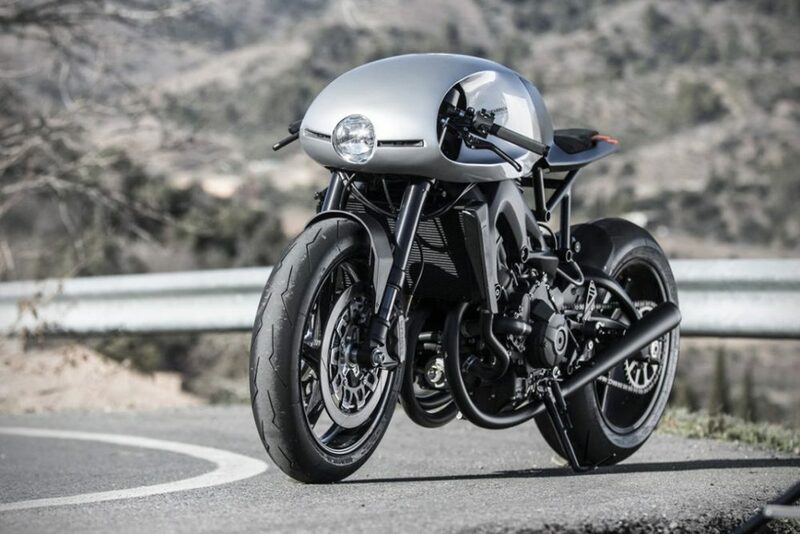 The tank of the bike was hand-beaten and formed from a single sheet of aluminium taking hours alone to complete. The design of Prototypes One and Two have successfully created a delicate balance of ugliness and speed. The team themselves can be likened to the creators of a mechanical Frankenstein. They created the Prototype One by stripping a stock XSR900 and updating the mechanics. In addition to this, they added in Brembo callipers, carbon wheels and slick Pirelli race tires. The designers took the suspension, brakes and wheels from their original XSR900 track model, but went on to add in two classic single round headlights, a trimmed seat and indicators. While we can certainly appreciate the skill needed to ensure the perfection of the bodywork, we can’t help but wonder if it’s creators should take a much-needed trip to Specsavers. It’s clear that Yamaha and Auto Fabrica were overly confident that someone would actually want to be seen riding the bike, as they went on to make the Prototype Two road version. However, we are convinced that not many will purchase the bike on account of drink driving is illegal in many states and we certainly couldn’t imagine anyone purchasing it sober. Now we all know that motorcycling isn’t a cheap hobby. A new mass production bike can set you back between £5-15k with none of the trimmings. It’s no surprise that a bespoke custom machine is going to cost a lot more. However, with a price tag of £68k, it’s a very hard spend for the average joe to make. This is probably for the best though, we’re sure your wife won’t be impressed after you re-mortgage the house. They say that there is a bike for every owner, but we’re very concerned for the person who wants to buy this one. Jokes, aside, his friends tell me he has an amazing personality if you just got to know him. Perhaps you disagree with our opinions on the Prototype 11 One, Tell us what you think below in the comments! Would you buy one if you could afford it? Next articleWould you buy a Swedish Svartpilen 401?